We've all been there, turning fifteen and having our first crush. For Wren, a talented, young artist with hopes of going studying in France, her first love, Nolan, is going to knock her off her feet. Wren and Noah meet at the Metropolitan Museum of art where her father is the director. In much the same way as Endless Summer, Wren forgets about her aspirations to study aboard and falls hopelessly in love with Nolan. 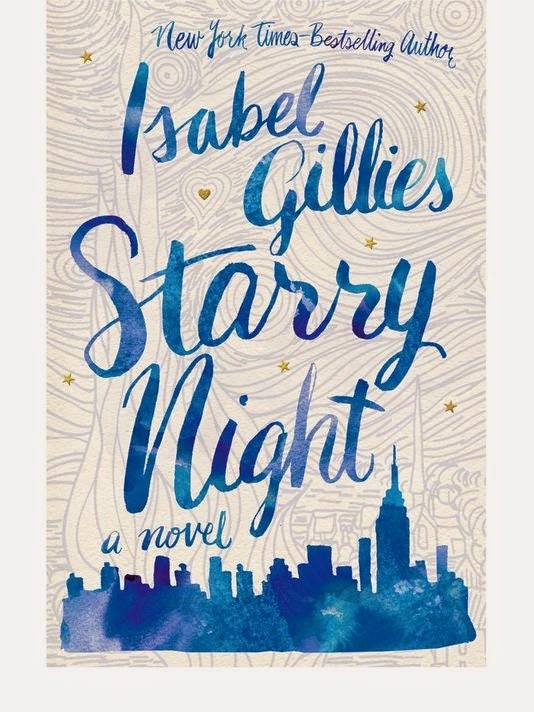 This tale of teen love is both realistic and fantastical , illustrating both the magical moments of appears to be true love and the heartbreaking moments where it turns out not to be. Eleven year old Annie and her nine year old brother Rew have never known their father. 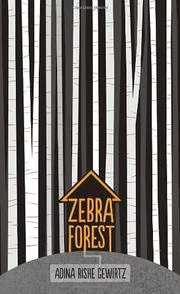 Abandoned by their mother, Annie and Rew live with their ailing grandmother near the Zebra, a forest of tall trees. Hearing of the news that a man has escaped from a nearby prison, Annie and Rew have no reason to believe they would be in danger, nor any reason to believe their father would still be alive after believing he was dead for so many years. But when he shows up at the door and holds them hostage in their house, Annie and Rew must learn the truth about their father. Gewirtz's debut YA novel succeeds in its emotional realism and depiction of a hopeful, dysfunctional family. Like many young girls, Dawn O'Porter kept diaries through her teenage years, and her debut novel is a truthful example of teen angst. Fifteen year old Flo and Renee attend the Guernsey private school where gossip and teen drama about, albeit before Twitter and Facebook, text messaging, and Snapchats. It's the 90s, and like myself, girls were secretly passing notes written with pencil and paper. 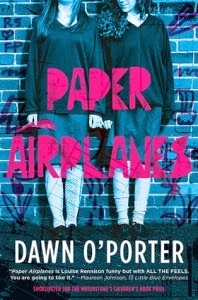 A dual narrative, O'Porter cleverly switches the perspectives of two British teens who struggle with everything from menstruation to treacherous best friends. Definitely not a "boy book," Flo and Renee's stories will ring true to most teen girls as it mixes humor with real life, showing that not everything needs to be taken so seriously all the time, but for those few genuinely serious moments, it's nice to have someone you can talk to. 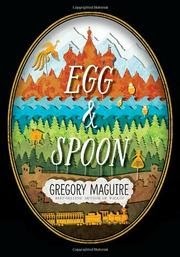 Everyone loves a good fairy tale, and Maguire has certainly cemented himself into the halls of such a genre. A re-imagining of several classic tales, Russian child Elena suddenly finds herself switched with Ekaterina on a train to St. Petersburg. It wouldn't be such a big deal if Elena didn't come from poverty while Ekaterina is a daughter of privilege. Along the journey, both girls encounter the fantastical such as witch Baba Yaga and the traditional such as a set of matryoshka dolls. The time period is not surprisingly a juxtaposition of old and new, and the layered lessons of kindness and social class remain true. 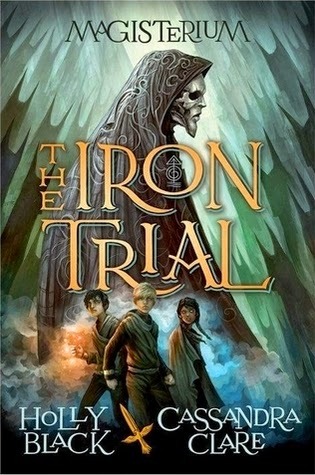 Book one of the "Magisterium" series, YA greats Black and Clare team up to bring young readers the story of Callum Hunt, a twelve-year-old, who is fearful of magic and the Magisterium, a school for young "mages." Hunt's father Alistair blames the mages for his wife's death and encourages Callum to fail his entrance exams. Even though Callum attempts to fail, the Magisterium accepts him anyway, and he begins his tutelage under Master Rufus. Befriending Aaron and Tamara, the trio begin their first year of training. In much the same way as Harry, Hermione, and Ron explored Hogwarts, Callum, Aaron, and Tamara explore the mysterious halls of the Magisterium. With twists and turns on every page, and in every hall, Black and Clare create a new world for the imagination, one that is so enticing, the sequel couldn't get here any quicker. 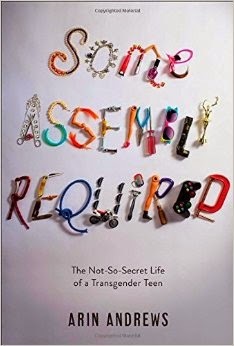 Katie Hill's brave story of being a transgender teen is recognizable not only because it was televised (Hill's former boyfriend is Arin Andrews, also a transgender teen and author of Some Assembly Required also released on September 30, 2014) but because there are so many young men and women struggling with their identities right now. Hill recounts many tales of being bullied and of feeling confused, of finding the right time to tell her mother, and of facing life-altering surgery. Andrews covers everything from their failed relationship to funnier, lighter moments of genuine friendship. 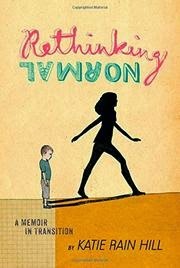 In 2015, when the idea of being transgender doesn't seem to be (or really shouldn't be) as taboo, young readers will find comfort in their memoirs. 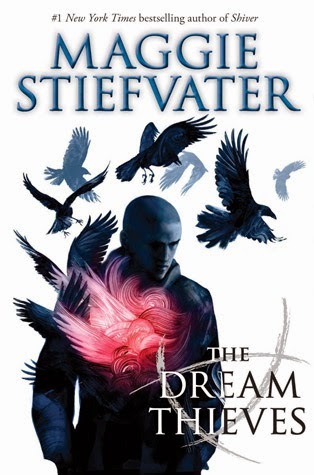 Stiefvater returns with the second volume of the Raven Cycle. Gansey, Adam, Ronan, and Blue are beginning to pull away from each other as Ronan's dreams are becoming a part of his reality. Not only does he have to be afraid of his dreams, but the Gray Man has come into town in search of Ronan. While he deals with his own identity issues, Blue and Gansey grow dangerously closer. While in the first book, the narrative focused singularly on the Raven boys, here the Gray Man intermittently steps in while Ronan's isolation to learn more about himself and his family grows. After setting up the background in the first book, Stiefvater quickly lets the story progress to more violence and mystery. Will the Gray Man capture Ronan, and what will Ronan continue to bring from his dreams? Cinco Puntos Press is a publishing company that needs a lot more recognition for its diverse settings and multicultural perspectives. 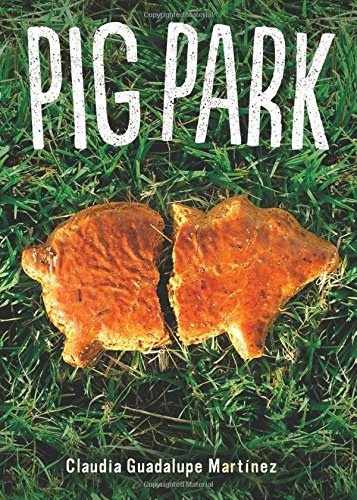 In this novel, fifteen-year-old Masi is trying to reinvigorate her dying neighborhood of Pig Park (named so because of its industrial lard company) by agreeing to build a pyramid with her friends. Amidst the convergence of community pride, Masi's mother leaves Chicago for Texas where she is diagnosed with diabetes, and her father has to stay and keep the family bakery afloat. Masi is soon entangled with a young man named Felix who is interested in rebuilding the neighborhood, and her attention from the pyramid and her family is easily swayed. Martinez writes dynamic characterizations and a genuine feeling of community improvement for a community not unlike many we see every day. Book three of Showalter's White Rabbit Chronicles finds Ali and Cole progressing towards a physical relationship while managing to kill zombies. Armed with a team of zombie fighters, Ali and Cole must put their intimacy on hold (constantly) in order to survive and keep the group safe. Research company, Anima, sets out to destroy Ali and Cole, and Ali must find a way to keep everyone safe and alive, especially Cole. . Just when you think Ali and Cole can finally be together, Showalter finds a way to lighten the moment and leave the reader frantically turning the page. 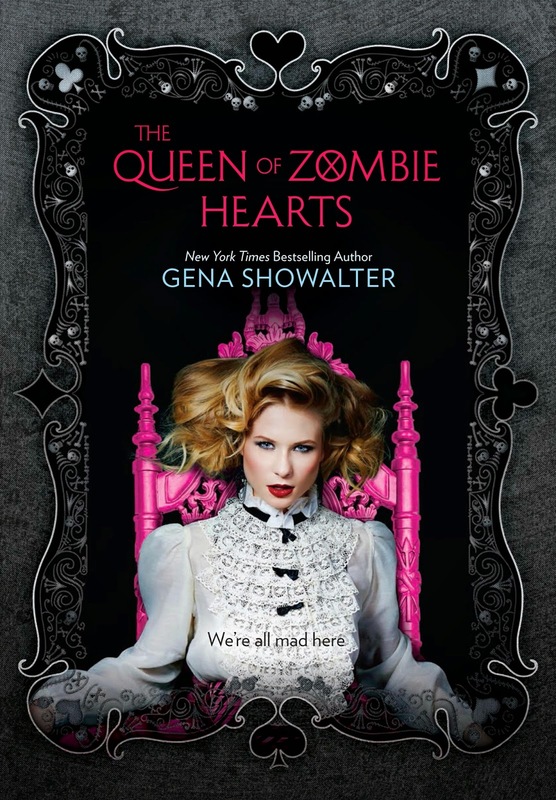 The end to the trilogy is fast-paced and satisfying, juxtaposing Showalter's flair for the extraordinarily ordinary life of a teen zombie hunter.